A major challenge for solo travelers is to get around on a budget, and there are many people who choose to use hitchhiking as a method of traveling from one destination to the next, and this works whether you are on a short journey or looking to cover long distances. Many people who do stick their thumbs out to travel also talk about the additional benefits such as being offered free accommodation or meals by those who give them a ride. While there are those who will find that hitchhiking isn't for them, it can still be a good way to get around and can be a good way to explore the world on a budget. The most obvious reason to travel in this way is that it is inexpensive, and although you may sometimes need to use some funds to get to a good hitchhiking spot using public transport, the majority of the transportation is free. However, many people who can afford to travel by coach or airplane will choose to stick their thumb out simply because it is a very interesting way to travel. Not every person who gives you a ride will be a charming conversationalist who will have great stories, but you will get many more interesting experiences and you will often meet some genuinely interesting people by hitchhiking. 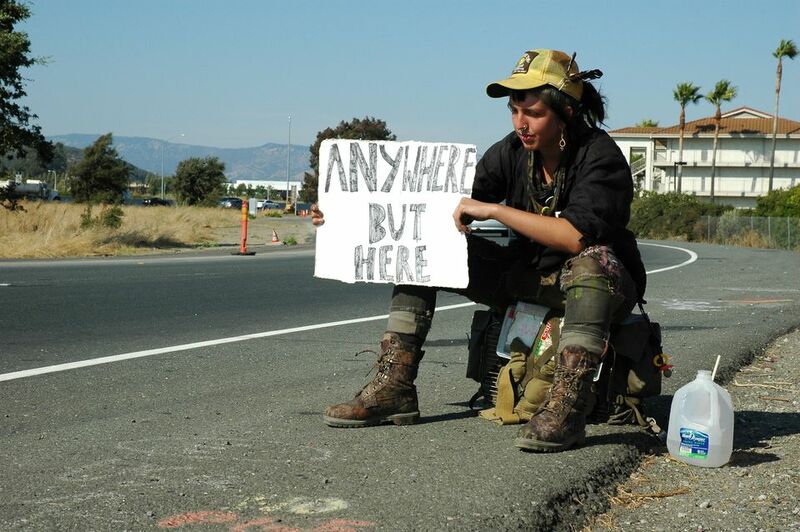 Where Are the Best Countries to Hitchhike? One of the most popular countries in the world for hitchhiking is New Zealand, which has a reputation for being a very friendly country (and road tripping), and in most cases, it will be easy to get a ride throughout most of the area. While not all of Europe is particularly good for getting a ride, Germany and the Netherlands are both countries with friendly drivers, and in the Netherlands, there are even designated spots for those looking for a ride. Visitors to Cuba also praise the system, and although there is a small fee given to the driver, government cars and private drivers in the country are encouraged to stop for those looking for a ride meaning that most people can find a ride quite easily. The key to hitchhiking successfully depends as much on your ability to choose a good spot as it depends on the drivers heading towards your destination, and most importantly you will be looking for locations with space for drivers to stop and a steady flow of traffic. Most hitchhikers will look for the roads that access the equivalent of interstates or highways, and the on-ramps are particularly good for getting a ride. Another good piece of advice is to have a simple cardboard sign showing drivers where you would like to go, which will help drivers to know before pulling over that they will be able to help you. The most important piece of advice for anyone trying to thumb a ride is to hitchhike safely and to not get in any vehicles that you don't feel comfortable getting into. Of course you will want to get to your destination as soon as possible, but this doesn't mean that you should take obvious risks in order to get there. If anything feels wrong, or the driver appears drunk or under the influence of drugs, follow your intuition, apologize to the driver, and wait for the next ride to come along. It is also wise to try and make sure you get to your destination before dark, as this is certainly not a suggested nocturnal activity. Getting a ride will often depend on how drivers will perceive you on the side of the road, so those who are clean and dressed in nicer attire are more likely to be picked up than those in dirty or unkempt clothes. It is also important to appear confident at the side of the road, so look at the drivers on the road, smile, and try to avoid eating or smoking while you are waiting for a ride. If you appear friendly and interesting, you are much more likely to get a ride from a driver that is both friendly and a safe ride option.